Through these interwoven narratives, Witt has written a thrilling book that depicts the moment in history when ordinary life became forever entwined with the world online — when, suddenly, all the music ever recorded was available for free. 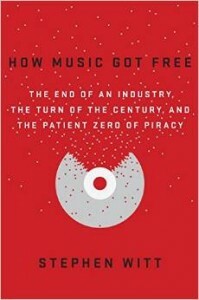 In the page-turning tradition of writers like Michael Lewis and Lawrence Wright, Witt’s deeply-reported first book introduces the unforgettable characters—inventors, executives, factory workers, and smugglers—who revolutionized an entire artform, and reveals for the first time the secret underworld of media pirates that transformed our digital lives. 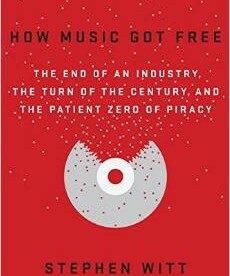 An irresistible never-before-told story of greed, cunning, genius, and deceit, How Music Got Freeisn’t just a story of the music industry—it’s a must-read history of the Internet itself.